A couple of days ago I hotfooted it down to Republic at the Trafford Centre to meet the lovely womenswear staff, have a look at their current collection and got to play dress up, trying my favourite pieces on. ‘But why?’ I hear you cry! Well, lucky for you this Saturday the store will be offering a very tempting 20% off everything for students! Unfortunately I won’t be able to make it this weekend, but I thought I would go down and take some snaps of some of the current stock to whet your fashion appetites. Not only will there be discount, oh no. Republic don’t do things by halves. You will also be shopping at a free gig, with JP Cooper playing live music, and Capital FM will be in store covering the event! If you’re still not sure, take a look at some of the pieces I tried on in store. Republic stock loads of great brands, from the cool and casual Soul Cal, to the more glamorous such as Miso and er..Glamorous! 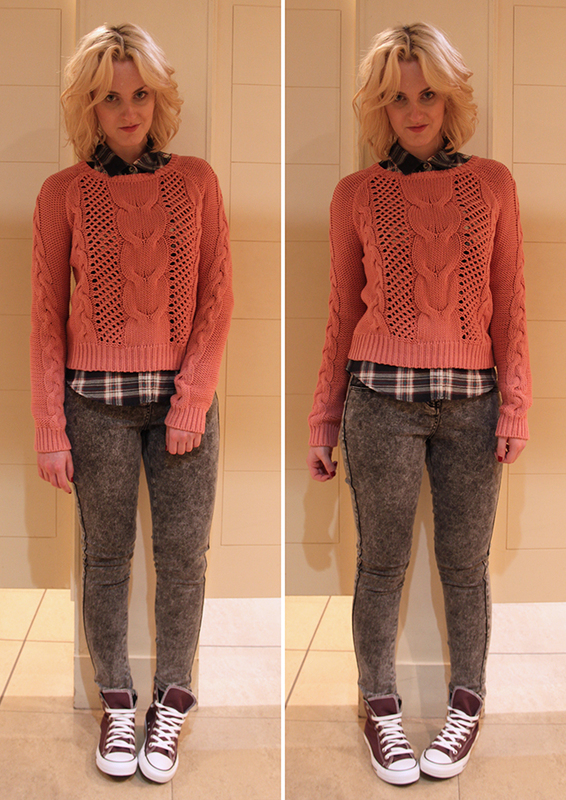 I was also really impressed with the brand Crafted, which features grungy pieces with a vintage feel. A lot of the Crafted pieces in store were reworked one offs which I thought was really cool for a High Street brand to do. As you can see, Republic have some gorgeous stock at the minute, whether you’re after something for day or night. I came away feeling a little depressed as I wanted everything I tried on (as usual! 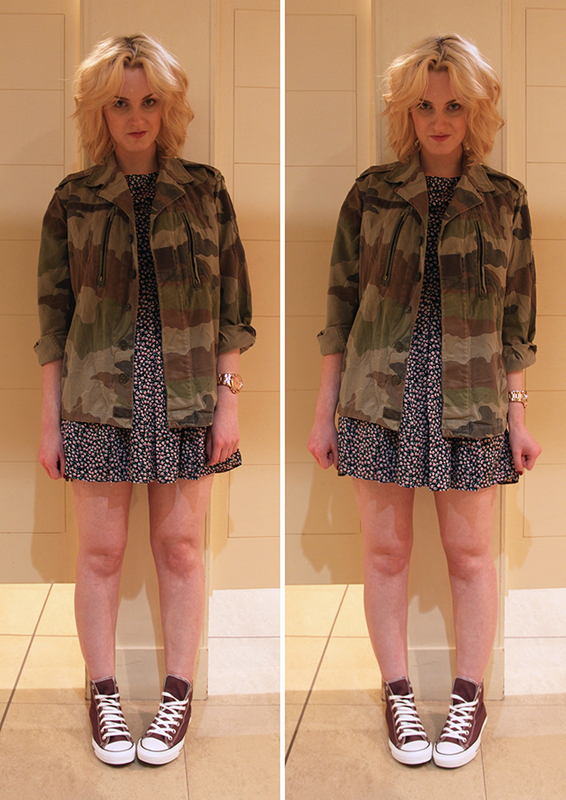 ), but did go away with the Crafted camo jacket I’m wearing in the first image. I couldn’t resist, and for £30 I think it’s a great price for something that will be perfect to take me through to summer. They have plenty more like this in store, so be sure to snap yours up at the Trafford Centre on Saturday to bag 20% discount! Let me know if you go to the event, and be sure to show me what you all buy! Follow @RepublicTraff on Twitter to get all the info and gossip about new items, sales and offers! love the dress in the first picture!